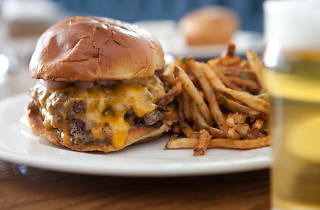 Photograph: Martha WilliamsThe double cheeseburger is on the menu at Community Tavern in Portage Park. 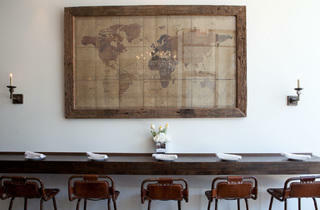 Photograph: Martha WilliamsCommunity Tavern is a Portage Park steakhouse. 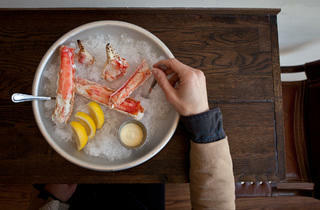 Photograph: Martha WilliamsKing crab legs are on the menu at Community Tavern. 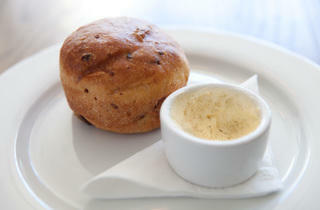 Photograph: Martha WilliamsA cheddar bacon muffin is on the menu at Community Tavern. What’s a boutique steakhouse? 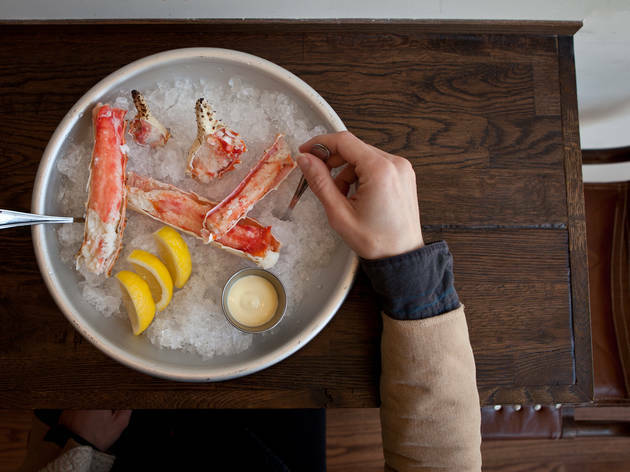 The phrase is on Community Tavern’s website and menu, so let’s break it down. 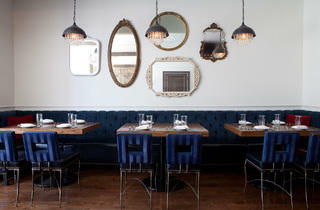 From the people behind The Portage, Community Tavern is at Six Corners, away from the cluster of steakhouses downtown. 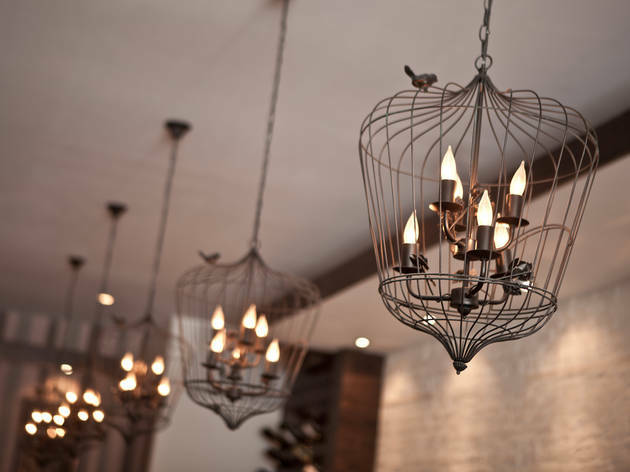 The space is cozy, with a mish-mash of light fixtures and chairs. 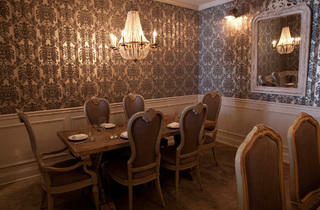 And Joey Beato’s menu features steakhouse classics, some traditional and others with unusual spins. So for all intents and purposes, it’s a steakhouse, just one with more of a neighborhood feel. Luckily for neighborhood residents, there are some gems here. 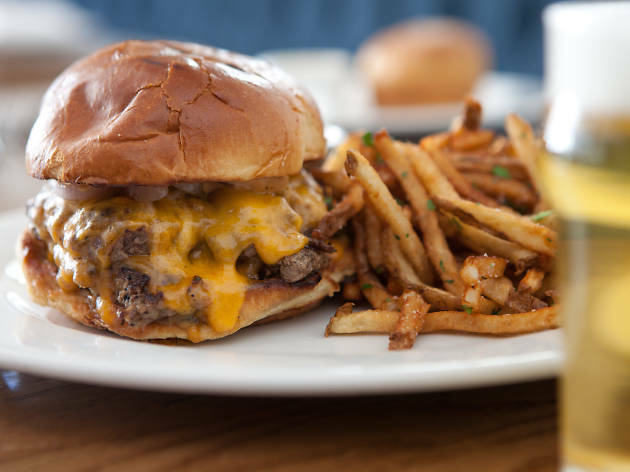 The double cheeseburger hits all the right flavors and textures and comes with golden, crispy fries. With two griddled patties, cheddar, lettuce, grilled onion and tangy “Community sauce,” which our server said included habanero, anchovy paste and ketchup, it’s everything I want in a burger. 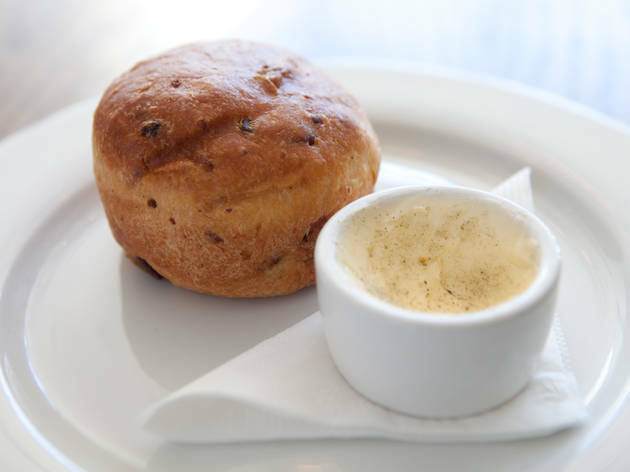 The chilled crab legs come with a creamy citrus aioli, while the cheddar bacon muffin is more like a lovely, buttery brioche. And, there’s a nice list of local beers. There are also misses. We ordered the wedge salad, and our server brought out a whole head of iceberg lettuce. Slicing it open released an unappealing landslide of thick nubs of chewy bacon, tomatoes and cheddar in a buttermilk dressing. The cocktails were watery, the cauliflower side dish was goopy, and the meat in the steak frites was rare and well-seared but missing salt—though it was served with those great fries, softening the blow. And actually, the highs soften a lot of the lows—I don’t live anywhere near Portage Park, but I wouldn’t say no to returning for that burger and a local brew. Atmosphere: This is a very cozy spot, with dim lighting. 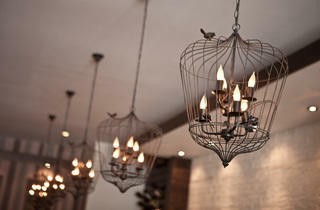 Tables are close together, and each set of tables has a different kind of light fixture overhead. What to drink: There’s a very good beer list, with draft and bottles, plus large-format bottles for sharing, as well as affordably priced wines by the glass and bottle. Opt for these over the cocktails, like the dark rum–based Black Manhattan and updated Martinez, which were weak. Where to sit: The back of the dining room is pretty tightly packed and busy, so my date and I were happy we had a more spacious table by the window. Bus: 54, 54A, 56, 80. Amazing food and drinks! Servers are so fantastic and make you feel right at home. Love the unique drink options and ambiance. My absolute favorite for date night! Just a very good steak house and tavern. The name says it. This is a community place, but with the quality of a downtown steak house. 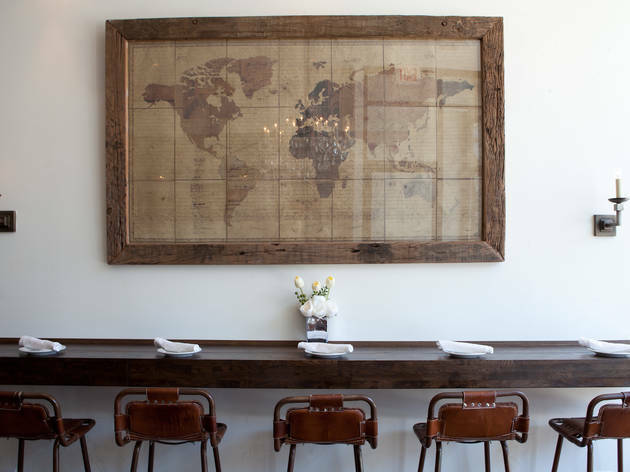 The decor and ambience at Community Tavern is very inviting. The food and cocktails are fantastic. 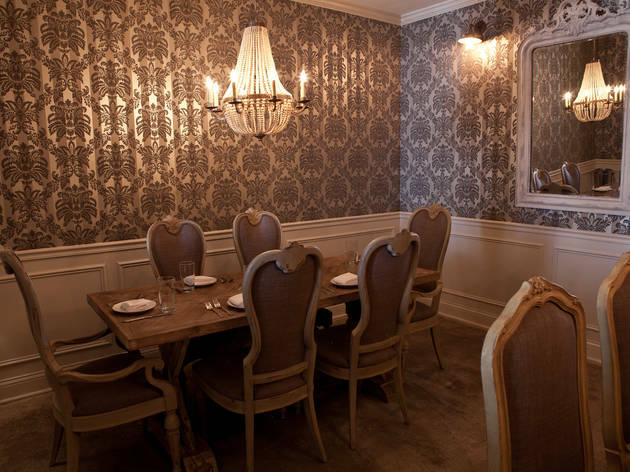 A nice French inspired Steakhouse in Portage Park. Sunday burgers at the bar for $5. Great selection of craft beer! Service is top notch too! Great food! Joey Beto is an awesome chef! Quay Tao....the owner...supports the neighborhood in many many ways!